Buying locally grown food keeps our food dollars circulating in our community, rather than sending them to distant corporations. Locally grown food sales can have a notable impact on local economies because of the multiplier effect: the number of times a dollar circulates in a community before leaving through the purchase of an import. The specific multiplier for food-related farming activities in the Lehigh Valley is 1.449 (IMPLAN calculation by Penn State University). In other words, every dollar received by food-related farms in the Lehigh Valley generates on average an additional 45 cents in economic activity. In comparison, a Maine study found that national chain stores yield a return of just 14 cents to the local economy, usually as low-wage service jobs. Buying locally grown food provides three times more investment in our Lehigh Valley economy. 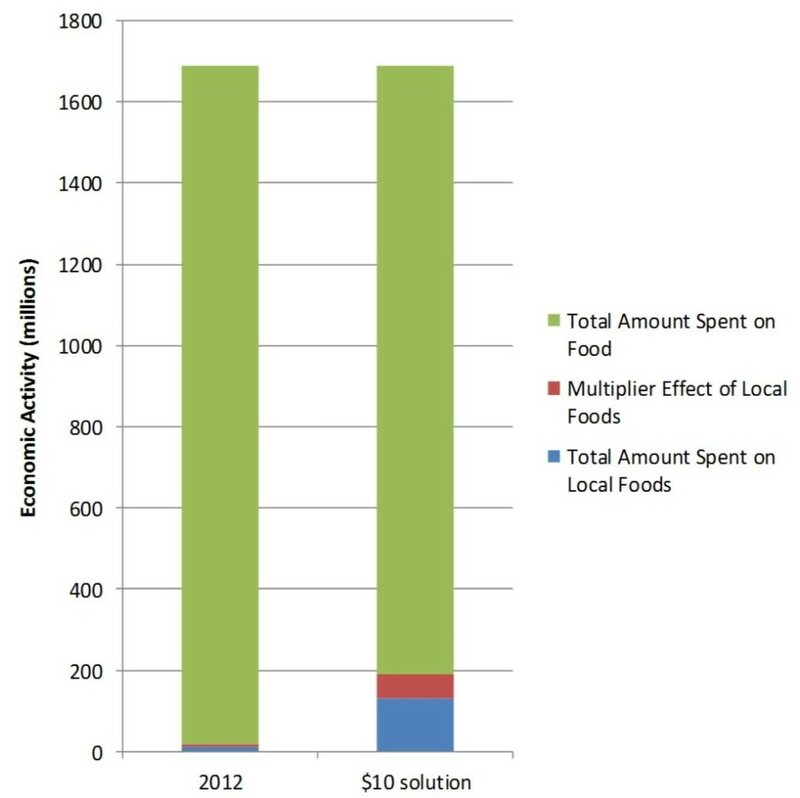 Here in the Greater Lehigh Valley (Northampton, Lehigh, and Berks Counties), we spend $2.7 billion per year on food. Only about 1%, however, is purchased directly from our local farms. In other words, the majority of our food dollars are leaving the Lehigh Valley when we purchase food imports. Once these dollars leave, they are unlikely to return. There is a tremendous opportunity to capture some of these food dollars and keep them circulating in our community and creating new jobs. If each GLV household spent just $10 per week on locally grown food, it would generate $207 million for our local farms and $93 million for local businesses. In total, it would add an extra $300 million to our local economy. And we would enjoy the added benefit of eating fresher, tastier, healthier food.